This is the Yeah Racing 30x30x10mm Tornado High Speed Cooling Fan in Black color. This fan features dual ball bearings and is great for motors, ESC's and multiple other applications. 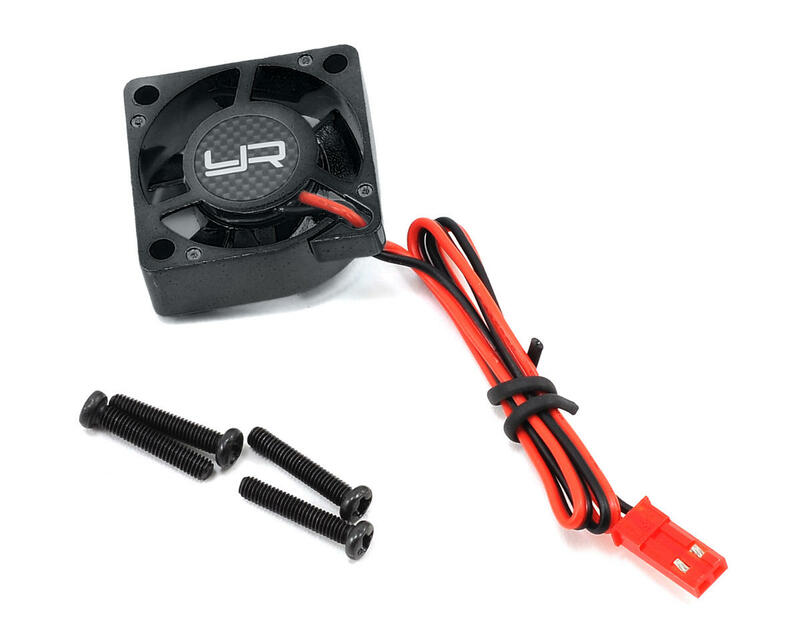 This fan is capable of use with a 2S LiPo (8.4V), but no higher. Note: For the best performance, Yeah Racing recommends you continuously run this fan for 2 - 3 hours to break it in. Great fan! This thing is super powerful! After 30 minutes of running my 4x4 slash geared at 16/56 the motor felt cold to the touch. It's amazing what a good quality fan can do! have been running this fan on a touring car for a month , no problems works great and better airflow than my associated fan. I have been running this fan in my B6 for a couple weeks now. Seems like a good fan with good airflow to me. Good price also. I have been using the Yeah Racing ya-0180 fan for a couple of extremely satisfied years now. They work WAY better than the standard fan! You can feel the air from these fans if you get close to the chassis of my Slash 4x4. 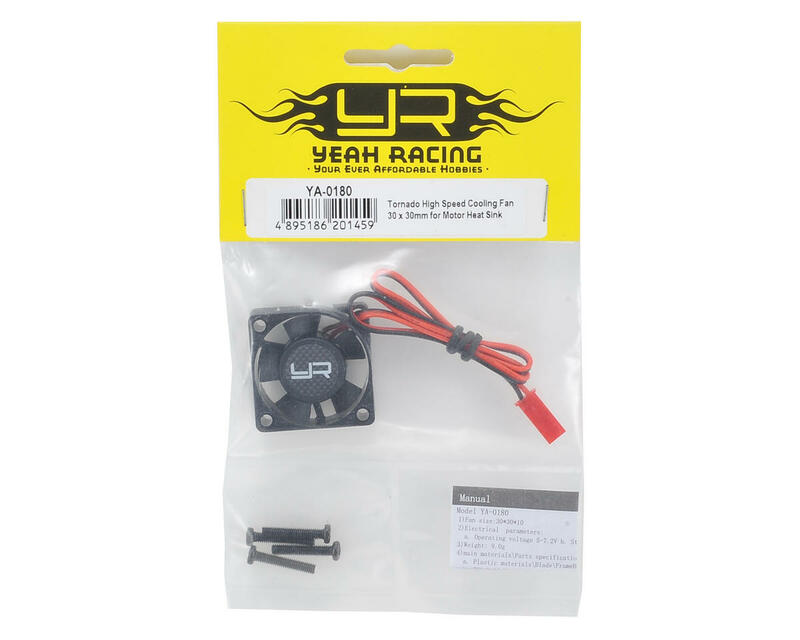 I highly recommend you buy a Yeah Racing ya-0180 fan for anyone who wants to keep their motor and esc cool! Nice fan, but loud. Sounds like a turbo running while sitting on the grid before each race. Others get a kick out of the sound. Great airflow. Took my Hobbywing 6.5T from 155°f to 110°f while running in 100°f heat in 4mod off road. Fan worked great for 2ish months, then just died. Trying something else to see if I can find better durability. This thing was worthless; fan is unable to start spinning under its own power. Broke it in for 2 hours as per YR recommendation, same issue. unsure of the rpm/CFM rating, but the airflow is abysmal. 2cell lipo w/ 6v BEC (1000z blackbox). avoid. Warning!!!! Do not buy this fan!!! I just bought one, did not work out of the package. Not cool bro! Not cool!